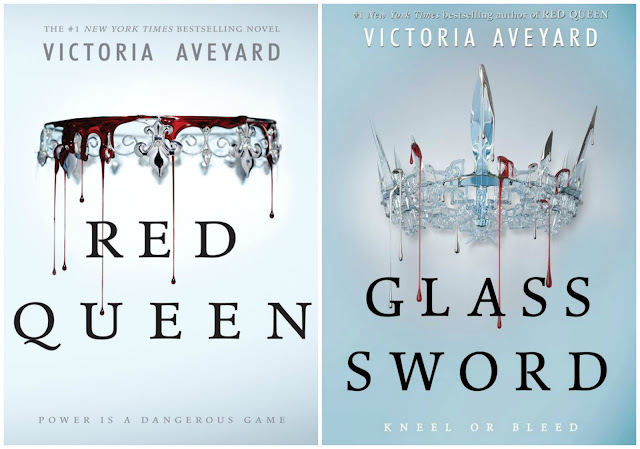 The third and final installment in Victoria Aveyard's dark young adult series, King's Cage, comes out on February 7th. Though I thought the series fell in quality in book two, I'm still interested in checking out King's Cage to see what happens. If you haven't read the series, it's not to late to check it out. In addition to the three major works, Aveyard also wrote a short novella titled Cruel Crown which functions as the series' prequel. I haven't had a chance to read it yet. Have any of you? What did you think? [3.5 stars] An interesting start to a book series. It's best described as sci-fi Hunger Games meets YA Game of Thrones (meaning, there will be blood, a lot of red and silver blood). I liked the concept and find myself drawn to stories of class conflict. This premise makes the need for rebellion make more sense, but I had mixed feelings about the main character. At times, Mare is a likable powerhouse, but at other times I didn't understand her way of thinking. I also kept stumbling on her name. Did anyone repeatedly think "bone marrow" every time they read "Mare Barrow"? [2 stars] A big disappointment when compared to Red Queen. Though the first book certainly sets up the battle that will begin raging in book two, Glass Sword is hugely--and unnecessarily--violent in the extreme. Remember when I said the series was like a sci-fi blend of The Hunger Games and Game of Thrones? This is where the GoT bloodshed really kicks in, which I do not enjoy. While Maven's evil side is startling, Mare seems equally cold-hearted which is confusing: the series no longer seems to have a hero and a villain, just two villains representing opposing groups. What are your thoughts about the series?